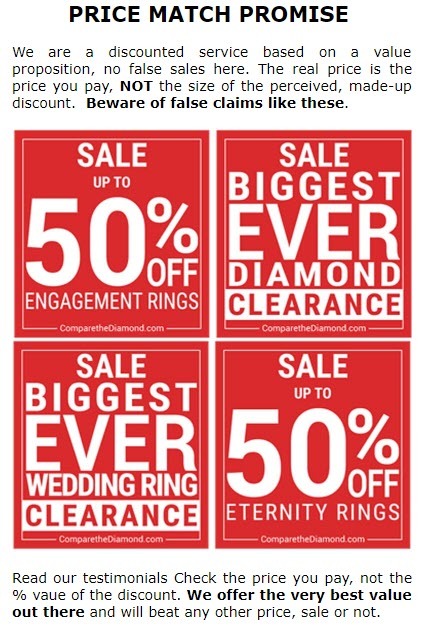 ComparetheDiamond.com (formerly diamondgeezer.com) ® is a member of the NJA. NJA This is the National Association of Jewellers formerly the British Jewellers’ Association. Formed in 2015 through the unification of the British Jewellers' Association (BJA) and National Association of Goldsmiths (NAG) the NAJ represents over 1, 800 members whose businesses operate in every aspect of the jewellery industry. The NJA has one clear mission , to ‘promote and protect the growth in the UK jewellery & silverware industry‘. Though predominantly designed to support business growth for jewellers the NJA also acts as a conduit for UK and European legislation and represents the UK globally. The association provides training and professional development tools for firms and helps clarify issues such as ethical diamond supply and cross border issues. The consumer also benefits from the NJA. There is a code of ethics that ensures honesty, integrity and clarity on price. All member jewellers have to adhere to this code and consumers are able to contact the NJA to enquire about members. The NJA also provides a consumer advice section on their website and a complaints procedure to ensure consumers have access to a free resolution process with members. Using a NJA member for your jewellery or design needs guarantees you are dealing with a firm that adheres to the NJA code of ethics and satisfies the NJA criteria on an ongoing basis. Click Herefor the NJA consumer pages which provide advice, help an direction when purchasing on-line safety and details of the complaints procedure.